Two men were tragically murdered last week on Caleta Beach in Mexico’s Acapulco region. Worryingly though, scenes like this are apparently so common in the area, tourists seemingly continue with their holiday activities as if nothing has happened. As gunshots rang out, some people ran from the beach according to reports, but before long, many people simply carried on with their day – some were even filmed eating at a restaurant just a few metres away from where the bodies lay. 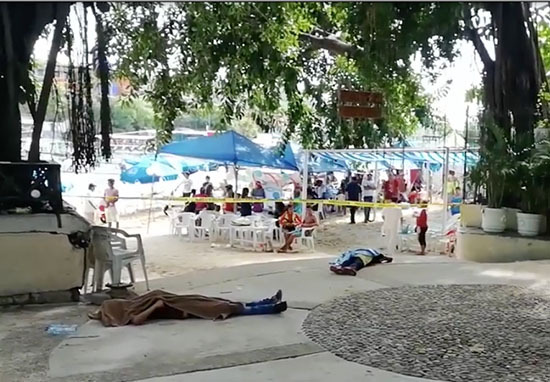 Footage captured by El Sol de Acapulco show tourists and beachgoers carrying on underneath umbrellas and enjoying the sunshine as police and medical staff cordon off the area and assess the situation. The identities of the victims have not been revealed, but officials believe they were chased from a vehicle and ran into the crowd of tourists to escape, as NY Post reports. The awful incident comes not long after the skeletal remains of six men were found in a house in the same region of Mexico. According to the local government, some of the bodies were found with their hands and feet bound, and some with wire tied around their neck. Earlier this year, police in San Luis, Arizona, found a 600ft long tunnel running from an abandoned KFC restaurant to a private home in Mexico. Authorities in Arizona discovered the tunnel after seeing the owner of a now-abandoned business bringing a number of plastic containers outside and loading them into his truck. Officers pulled the man over for an unspecified equipment violation. It was during this traffic stop a narcotics dog alerted the officers to the presence of drugs in two of the containers. After investigating, police found 239 packages of a variety of different drugs inside the containers, including over 261 pounds of methamphetamine, 14 pounds of cocaine, 30 pounds of white heroin, 13.7 pounds of brown heroin, and 6.8 pounds of fentanyl. Police listed the total value of the drugs at more than $1 million, reports CNN. The man, who was identified as Jesus Ivan Lopez Garcia, reportedly purchased the empty KFC in April this year. After his arrest, police searched the vacant restaurant and discovered the entrance to the tunnel inside. According to Homeland Security Investigations officials, the tunnel was 22 feet deep, five feet tall and three feet wide. It ran for about 590 feet underground, from the restaurant to a house across the border in San Luis Rio Colorado, Mexico. The tunnel came up underneath a trap door under a bed in the house. The drugs are believed to have been pulled through the tunnel with a rope. Lopez Garcia is now facing federal charges, including conspiracy to possess with intent to distribute methamphetamine and cocaine. This tunnel was very well constructed and would have taken this Drug Trafficking Organisation a long time to dig and would have been very expensive. This tunnel necessarily required a combination of several individuals on both sides of the border, engaged in an intricate, risky transnational conspiracy to construct such a secretive structure. 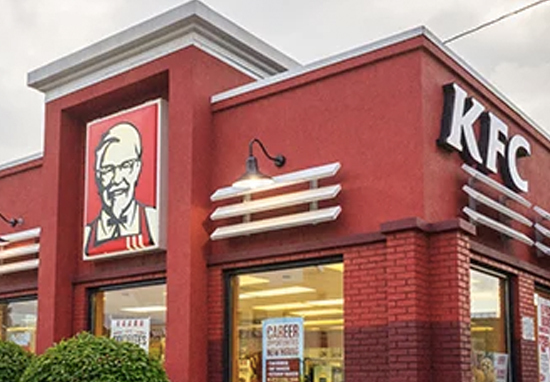 Lopez Garcia bought the KFC restaurant in April, but authorities are unsure how long it’d been used as the underground route.